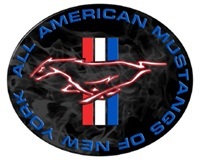 Thursday, August 28, 2014....the assembly lines at Ford's Flat Rock, MI assembly plant have started rolling with the new 2015 Mustang. The cars should be rolling into dealer showrooms in the next few weeks, and onto the streets just as quickly. We’ll be getting our first drive behind the wheel and posted here soon as well."